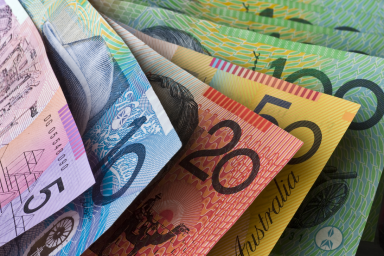 The Reserve Bank of Australia has announced its decision on the official cash rate this month after it concluded its monthly board meeting. The RBA will keep the official cash rate on hold at the record low of 1.5 per cent as widely expected for the thirteenth consecutive month. The cash rate last moved in August 2016, when it dropped to the current rate. All 33 resident rate experts surveyed by finder.com.au expected the cash rate to hold once again for September. AMP Capital’s head of investment strategy and chief economist Dr Shane Oliver said the RBA and rates were “stuck between a rock and hard place”. “Solid business conditions and labour market indicators along with the RBA's expectations for strong growth argue against a rate cut but sub-par growth at present, risks around consumer spending, low wages growth and inflation and the rise in the Australian dollar argue against a rate hike,” said Mr Oliver. Likewise, QIC chief economist Matthew Peter believes the RBA will find it hard to alter rates based on current economic data. “Lack of wage growth and inflationary pressure combined with weak economic growth could justify a rate cut,” Mr Peter said. Adding to that, NAB chief economist Alan Oster said strong housing prices in key capital cities of Sydney and Melbourne meant it was “still too early” to change rates. MyState investment manager Chris Schade said the current rate was “highly accommodative” and would allow the economy to continue to gain momentum over the next few years.